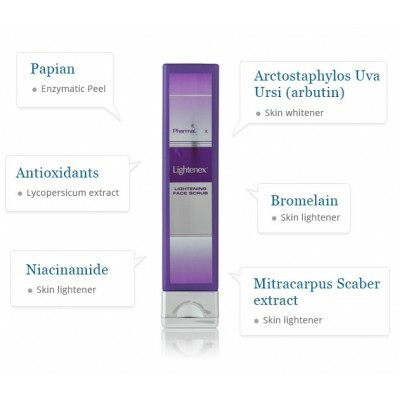 It is designed to gently loosen the dark surface skin cells, leaving your skin looking more radiant & fairer. The Professional strength Actives are in a base that works particularly well on darker skins. 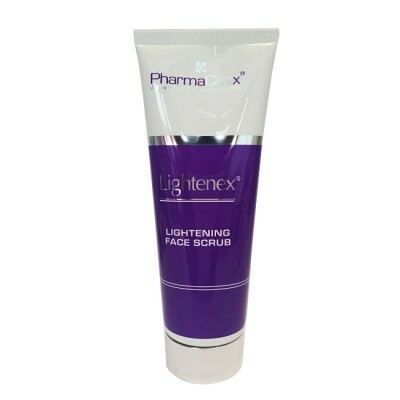 Lightenex® Face Scrub is excellent as part of the weekly Skin Lightening Treatment for permanent, visible skin lightening. 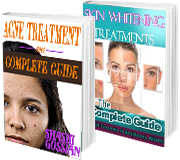 Apply the Lightenex® Face Scrub & Wash to wet skin every morning. Massage gently into skin for 5 minutes, using a circular motion. If skin irritation continues, discontinue use. Keep out of reach of children.